Rubicon Brewing Company is the spot for tasty food and even tastier beers. Chris and I rode our cruisers into midtown and treated ourselves to a late lunch on the patio. 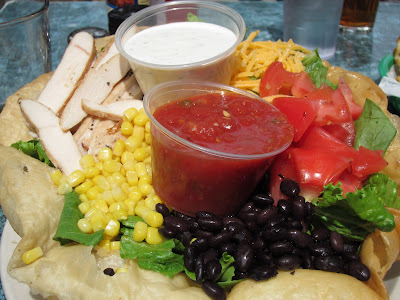 I had the tostada salad featuring mixed greens, diced tomatoes, black beans, corn, chicken breast and shredded cheddar, nestled in a flour-tortilla shell and served with salsa and ranch.